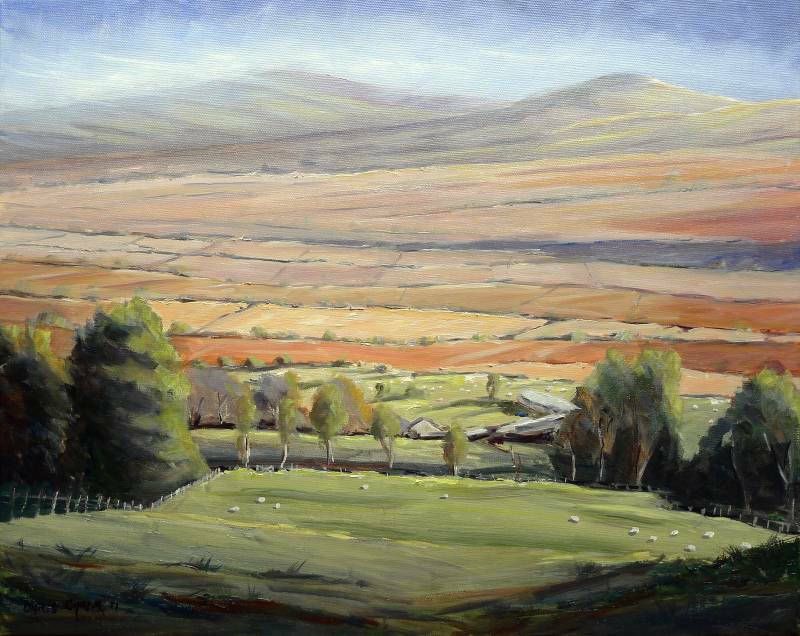 This landscape painting with the hill known as 'Foel Drygarn' in the far distance, is the view looking east from high up in the Preseli mountains of west Wales. 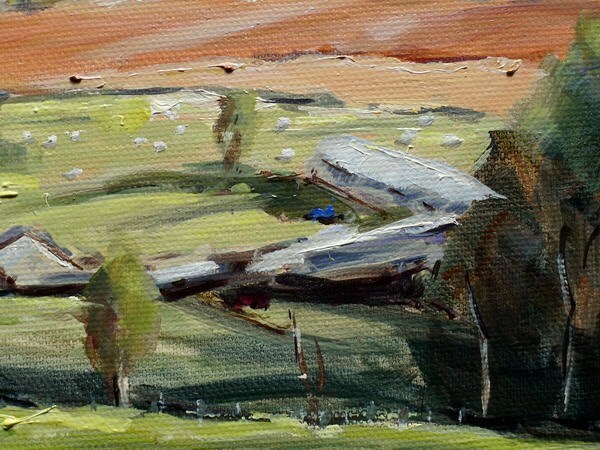 I really enjoyed painting this one, and trying to capture the distance and vastness of the scene. 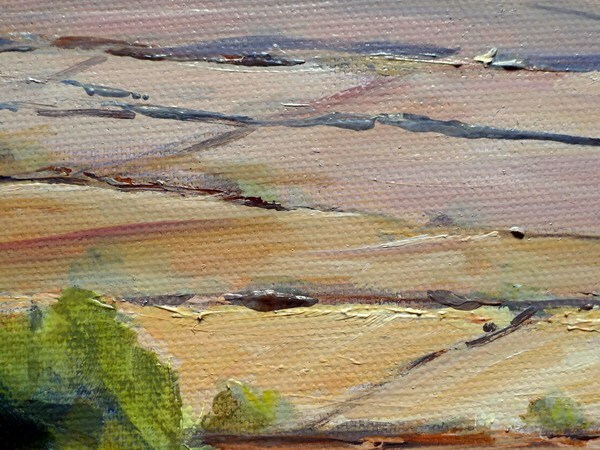 The hedge lines and field boundaries are simply suggested with juicy bold brush strokes.